Learn how to reset the Epson Stylus CX7400 / CX7450, follow the steps below to get the software and how to run it. 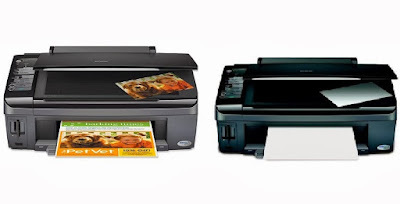 To reset the pad printing on these printers, which is need for much patience and an eye for not click or select an option that can do damage to the printer. The restoration of the pads is by a program called Adjustment Program Epson tell the printer has not printed the number of pages required to need changing printing pads recipients all waste ink cartridges or system should have one. Here are two links to reset the pads (means download the software) and the procedure to do it properly, it is recommended only if you need additional help write a comment gladly will be attended. It is important to know that the restoration of pillows, not improve print quality, much less return the ink levels at the beginning and if we purchased new ink cartridges. Be very careful while restoring the ink levels in Epson printers, as any misplaced procedure can damage the printer without the ability to be repaired in the future, we recommend you do not know the operation much contact a technician or write a comment below. To download this software from the manufacturer's website, the printer needs this error presented full pads, know what the model of your printer, know the serial number and your computer is connected to the electrical power cord. Before running the downloaded software, you should read the entire procedure appears below in the following link, first of all save the software on your desktop, this way it will be easier to get when needed. Be very careful while running the reset, much more when nearing completion on the part of — maintenance — here if you press any option other than waste ink pad counter will have serious problems with your printer. If you want to add something and have questions about this post, write a comment gladly be answered in the shortest possible time.